Presenting Upper Arlington Vocal Music's upcoming production of The Wizard of Oz! Featuring interview with Kristy Glaser, Chair of Musical, and Student Directors and cast Charlotte Brown (Dorothy Gale) and Emilie Gray (Aunt Em/Emily Gale). 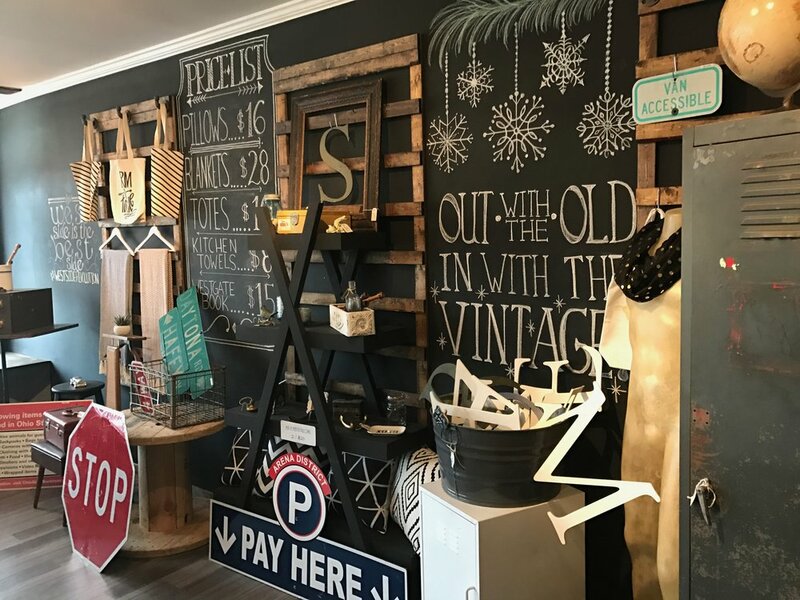 Burke and Amy chat about Ohio Craft Museum's current exhibition: Wounded Warrior Dogs, and their afternoon in Westgate, including Dirty Frank's West and Gypsy Soul Antiques & Vintage Home Decor. Featured on this week's podcast are Kristy Glaser, Charlotte Brown, and Emilie Gray, all with Upper Arlington Vocal Music Department's production of The Wizard of Oz. Listen in as we chat about the unique set, costumes, special effects, and find out how you can win a ruby necklace and earrings! You wont want to miss this high school musical production! 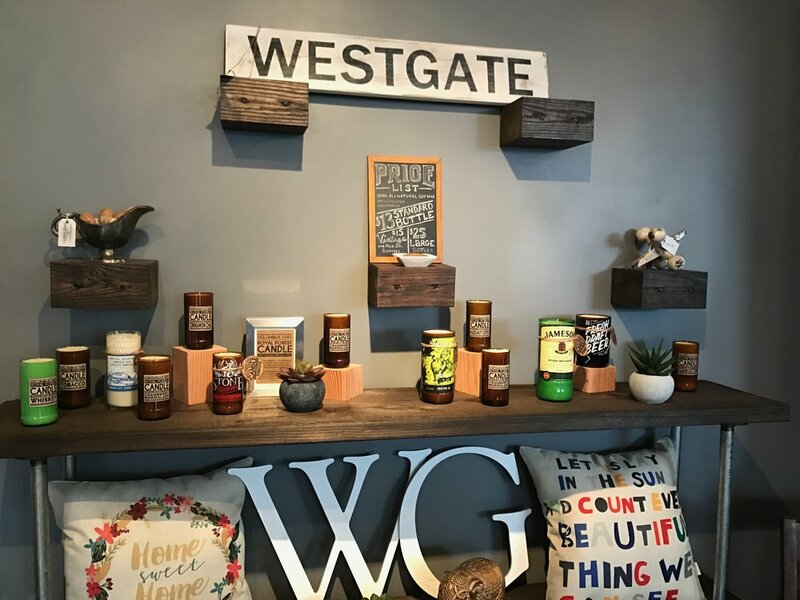 Over the weekend Burke and I went to Westgate to browse through Gypsy Soul Antiques & Vintage Home Decor. 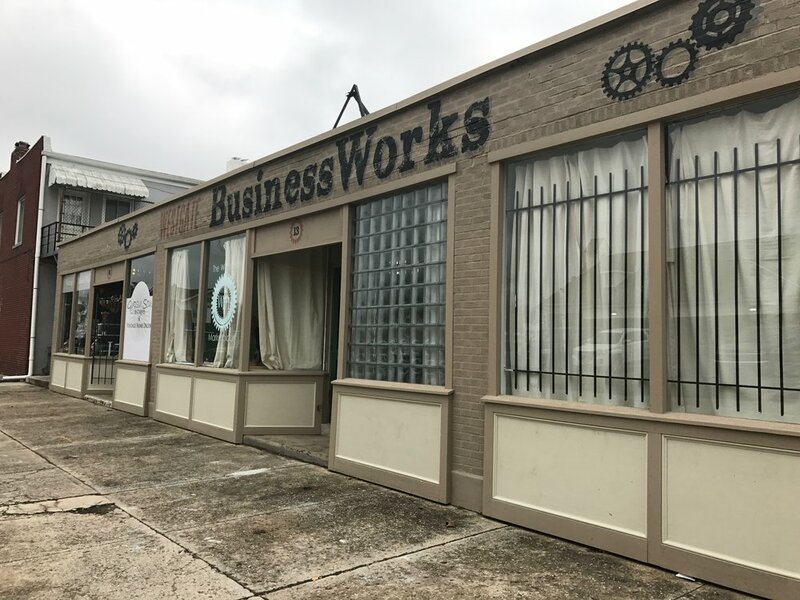 Here we were greeted by shop owner, Heather, and learned there are a variety of small business selling their craft: candles, natural dog treats, jams, blankets and towels, handmade tables, and more! 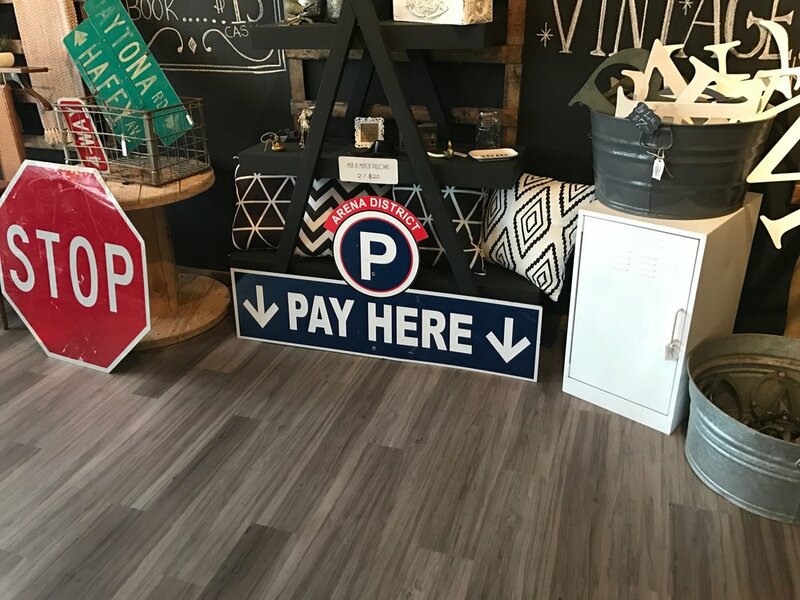 Burke was wishing he could bring home the parking sign from the Arena District. I overruled that purchase! From there, we headed to Dirty Frank's West. 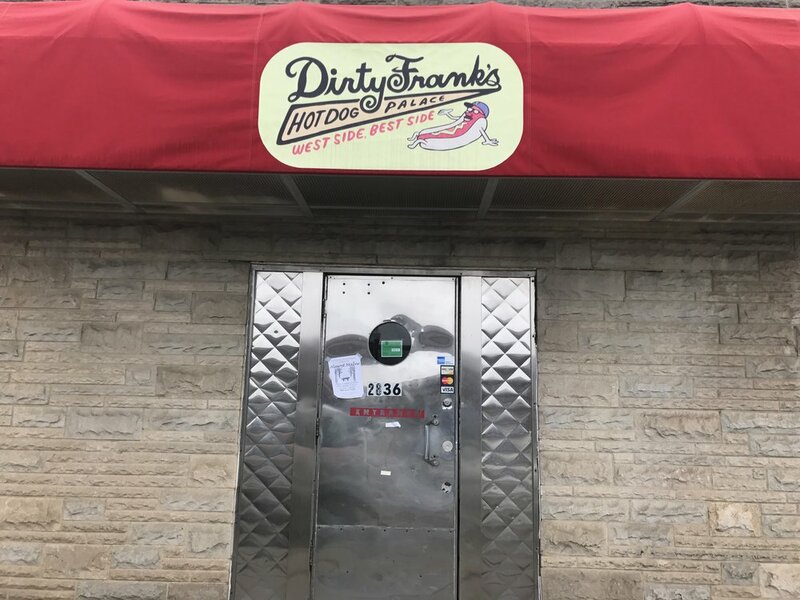 As Dirty Frank's West features three types of all-beef dogs, steamed, ripped and charred, and also veggie dogs, you cannot say there is no type of dog for you. 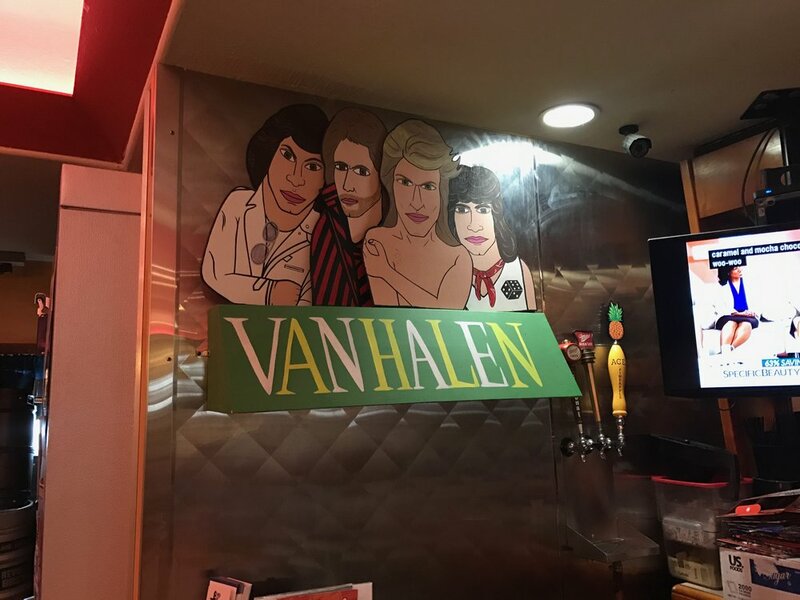 Take a look at this menu! Burke ordered the Ohioana and I ordered the West Virginia Slaw Dog (thank you DFW for serving with no onions!). And I ate every bite! So good! I am happy to tell you...we went to the Wounded Warrior Dog exhibition at the Ohio Craft Museum! As a special treat, the artist, James Mellick was also there. 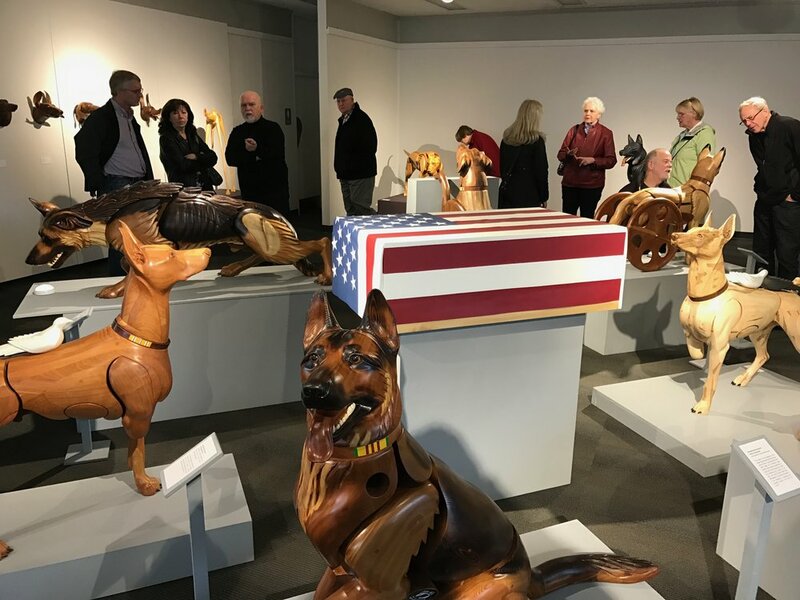 James told me the wounded dogs were the newest feature of his extensive dog sculptures, and a way he can honor veterans. This exhibition is running through March 26, be sure to stop by! So I was wrong about which character was in the video, but here is the little animated piece that taught me not to drown my food. I took this lesson to heart. Except for when I eat a West Virginia Slaw Dog. That's a different story! C!SN is always happy to feature the music of Captain Kidd and, also this week, Topher James & Biscuit Brigade!